With interests in heritage tourism and addiction history, I am always looking for intersections between the two. I found one unexpectedly last summer in Alaska, visiting several brothel museums that celebrated the madams’ business acumen and bootlegging success. 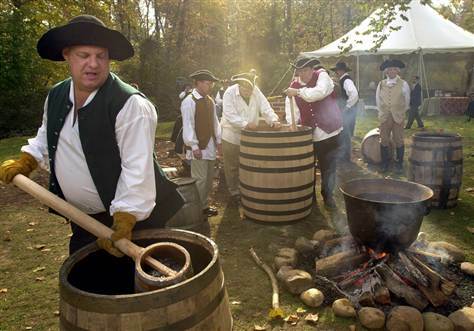 I learned recently that Kentucky has a Bourbon Trail with the tagline “Where the Spirit Leads You,” while the Distilled Spirits Council of the United States has its own American Whiskey Trail, starring George Washington’s own distillery at Mount Vernon. Needless to say, these sites demonstrate the power of history to make political and economic arguments in the present. A fuller discussion of them will have to await my next road trip. Ye olde employee of Beam Inc. (NYSE: BEAM). Meanwhile, not all museums or cultural attractions want to highlight the role of alcohol, especially when they are cultivating a wholesome image befitting their connection with classics of children’s literature. As an example, heritage tourism is booming at the sites associated with the “Little House” books by Laura Ingalls Wilder, where visitors confront a complex mix of history, original and replica buildings, and landscapes, all viewed through the lens of well-loved texts.